Splashtop increases student engagement with District 1:1 initiatives - Splashtop Inc. The new year has started with some exciting news for teachers and students everywhere! 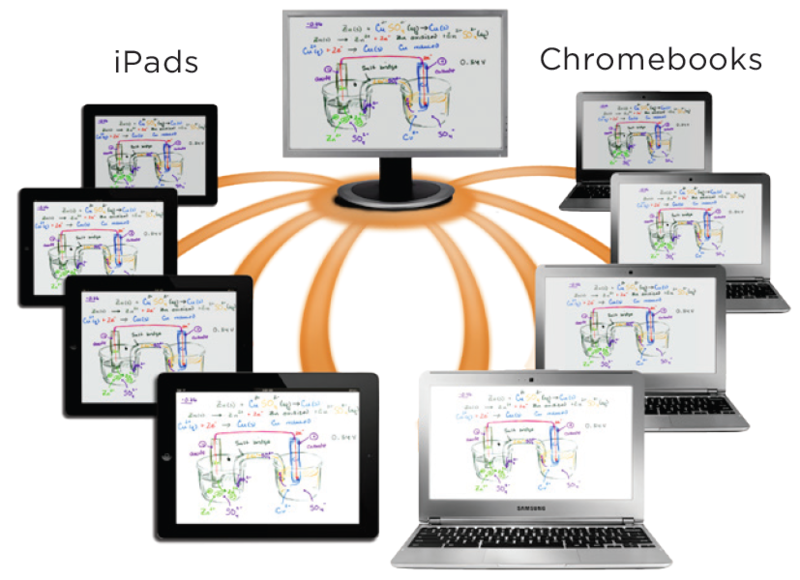 With Splashtop Classroom, teachers now have the ability to stream content and apps, whether from a Mac or PC, to every student’s device, including iPads, Chromebooks, or a Windows or Mac using a Chrome browser. Once connected, students can view, control and annotate over lesson content directly from their mobile device. Splashtop Classroom is perfect for teachers and instructors that want to engage the entire room! SPECIAL PROMOTION!! We are running a promotion through May 31st 2014. Buy Splashtop Classroom for a special price of $10/teacher/year! Ask your school IT/Admin team to start a district-wide trial today and invite you to join! For more information, or to start a trial, please visit the Splashtop Classroom page – www.splashtop.com/classroom – or come visit our booths at FETC (1004) and the ATIA (1AS) shows in Orlando this week!